No-cost July 13 teleseminar, and new book, focus on infertility, pregnancy and postpartum health issues and the overlooked connection to thyroid disease. At minimum, 27 million -- and as many as 60 million -- Americans have thyroid disease. The majority are women. Despite this, women rarely know that thyroid problems increase their risk of infertility, as well as pregnancy and postpartum complications. The risks? Preeclampsia, miscarriage, stillbirth, premature delivery, low birth weight, postpartum depression, and breastfeeding problems, among others. Untreated thyroid problems in pregnant women also increase the risk of cognitive and other problems, including ADHD and autism, in their children. This awareness gap affects women and doctors, who know little about the ramifications an undiagnosed or undertreated thyroid condition has for a mother and her unborn baby. COMPLIMENTARY TELESEMINAR - JULY 13TH: "IS YOUR THYROID GETTING IN THE WAY OF HAVING A HEALTHY BABY?" The thyroid’s overlooked impact on fertility, pregnancy, and postpartum health is the topic of a complimentary teleseminar – “Is Your Thyroid Getting in the Way of Having a Healthy Baby?” -- on Wednesday, July 13, 2016 at 9 p.m. Eastern / 6 p.m. Pacific. The teleseminar will be conducted by Dana Trentini and Mary Shomon, America's top thyroid and hormonal health patient advocates. During the teleseminar, Trentini – founder of the popular HypothyroidMom site, blog and Facebook page – and Shomon – a New York Times bestselling author of numerous books on thyroid disease – will explore key things women need to know, and take questions from listeners. Sign-up for this call is at http://www.thyroidpregnancybook.com/register at no charge. 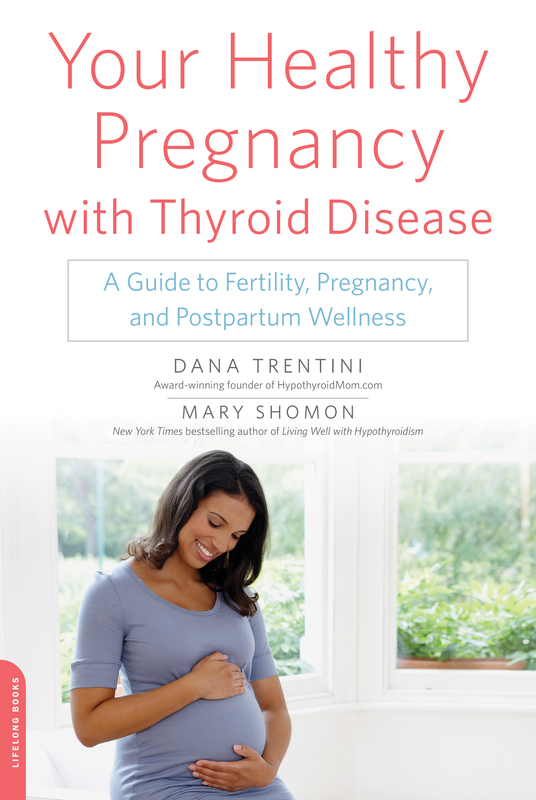 Trentini and Shomon are authors of the new book, "Your Healthy Pregnancy with Thyroid Disease," just published by DaCapo. (1) women with undiagnosed thyroid conditions -- who are experiencing infertility, recurrent miscarriage, pregnancy complications, or postpartum issues like depression, breastfeeding challenges, or difficulty losing the baby weight. (2) women with diagnosed thyroid disease – who are getting improper treatment, causing infertility, miscarriage, difficult pregnancy, or postpartum health issues. This improper treatment of women during pregnancy also puts the cognitive development and health of their developing babies at risk. Thyroid imbalances greatly increase the risk of miscarriage, premature birth, stillbirth, breech birth, and permanent cognitive issues, ADHD, and autism in children. Despite this, the medical establishment continues to fight AGAINST routine or universal thyroid screening as part of women's infertility, pre-conception, early pregnancy, and postpartum workups. Too many women are suffering from thyroid-related infertility, which, if undiagnosed and untreated, prevents them from ever becoming mothers. Some of these women even pay tens of thousands of dollars for failed fertility treatments -- never receiving the testing that would find treatable thyroid conditions, and potentially restore fertility without costly and invasive assisted reproduction. Too many women are experiencing miscarriages, losing desperately-wanted babies due to undiagnosed or improperly treated thyroid problems. Too many families are suffering the tragedy of stillbirths, and deaths -- or permanent disabilities -- of severely premature babies, due to undiagnosed or improperly treated thyroid problems. Too many babies are being born with cognitive and developmental problems -- including ADHD and autism -- due to improper diagnosis and treatment of their mothers' thyroid conditions during pregnancy. Too many women who want to breastfeed their newborns are finding themselves unable to nurse, or provide enough milk, due to improper diagnosis and treatment of their thyroid conditions. Too many women are experiencing postpartum depression, fatigue, and a host of physical, mental and emotional symptoms after childbirth, due to undiagnosed or improperly treated thyroid problems. "Your Healthy Pregnancy with Thyroid Disease" provides comprehensive and detailed guidelines regarding the signs, symptoms, diagnosis and treatment of various thyroid conditions for women who are not yet diagnosed with a thyroid condition. The book also includes detailed plans -- medical, hormonal, nutritional, lifestyle, and more -- for women who have a thyroid condition to help them optimize fertility, have a healthy pregnancy, and manage postpartum health -- all with the goal of delivering a healthy baby. Detailed and easy-to-understand plans and checklists focus on infertility, pre-conception, pregnancy, and postpartum health. The book includes guidance from dozens of the nation's top practitioners, including obstetricians, reproductive endocrinologists, integrative hormone experts, and holistic physicians. "Your Healthy Pregnancy with Thyroid Disease" is in essence, a What To Expect When You're Expecting (With Thyroid Disease) for the millions of women with undiagnosed and diagnosed thyroid conditions who want to have healthy babies. 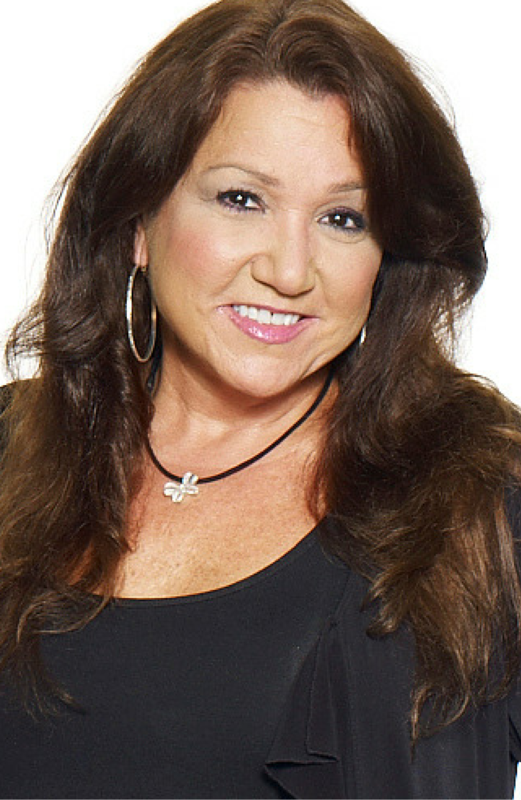 Dana Trentini is the creator of the popular HypothyroidMom.com blog, and a social media sensation, with more than 900,000 Facebook followers. Shomon is the New York Times bestselling author of 12 health books, including "Thyroid Diet Revolution," and "Living Well With Hypothyroidism." Shomon has been the Thyroid Expert at Verywell/About.com since 1997, blogs for the Huffington Post, serves on the faculty of New York's Open Center, and is the co-star of the popular PBS "Healthy Hormones" television series. "Your Healthy Pregnancy with Thyroid Disease"